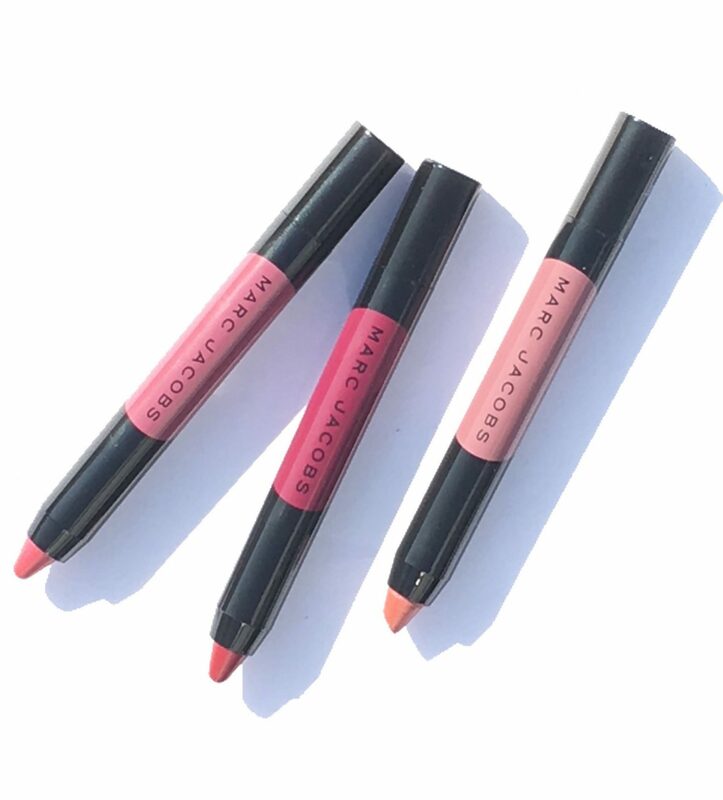 The latest from Marc Jacobs Beauty is the launch of their Le Marc Liquid Lip Crayons. It’s described as a long wearing lipstick that promises to deliver 16 hours of wear time much like a liquid lipstick but in the form of a creamy crayon. There are a total of 10 shades available today I will be sharing my review of the 3 colors that I have, along with swatches of the full range. I took the liberty to swatch the entire range while visiting a Sephora store. Upon first swatch, the first words out of my mouth were, ‘WOW!” It is insanely pigmented and incredibly creamy. 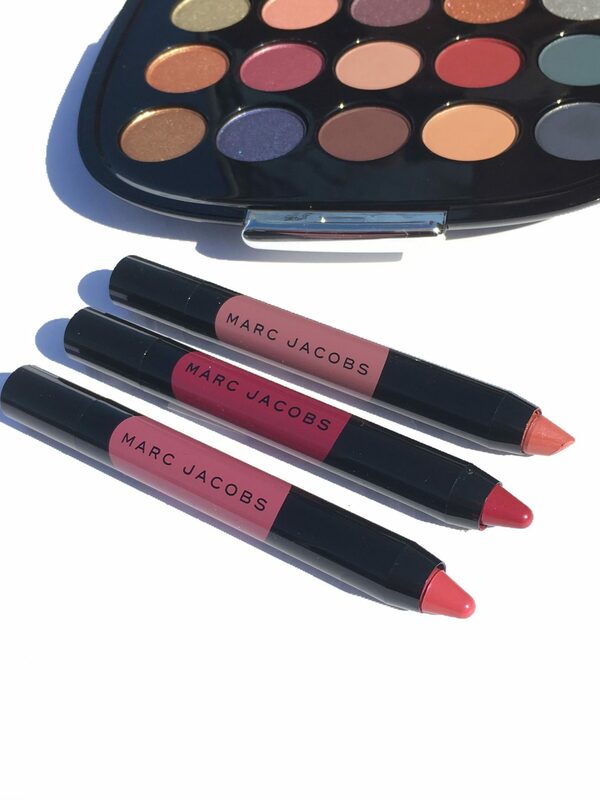 The three colors I have are Night Mauve, Plum n Get It*, and Pink Straight. * You get full color saturation with one stroke. It’s so effortlessly easy to apply and to maneuver. 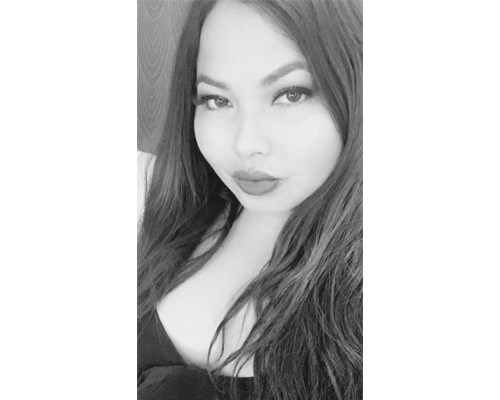 I can line my lips as well as fill them in within seconds. 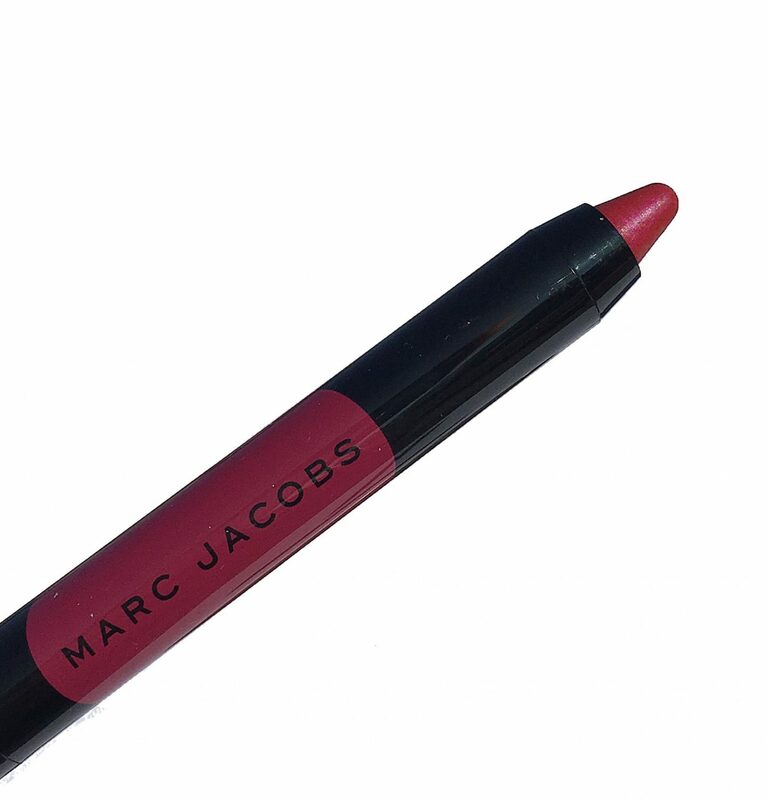 The texture feels light weight with a noticeable sheen that provides beautiful dimension to the lips. It’s not quite matte, nor quite glossy. I would say it’s like a satin finish in a high impact color that feels incredibly comfortable. Marc Beauty describes it as having an innovative “ghost pearl’ that gives it the sheen. It’s truly like the perfect marriage between a traditional lipstick and and liquid lipstick. In terms of wear time, it lasted on me for a good 12 hours with slight fading in the center. I suspect that it would have lasted longer but I took it off when I went to bed. It is not completely transfer proof and will transfer ever so slightly when eating or drinking. I did not find the need to retouch after meals, however and it wore comfortably throughout the day. Bottom line, these are a win for me. I love the packaging, the innovation behind the product, and the bold, high impact color that it delivers. I think my favorite shade is Plum n Get It* of the three that I have, and Night Mauve comes in a close second. 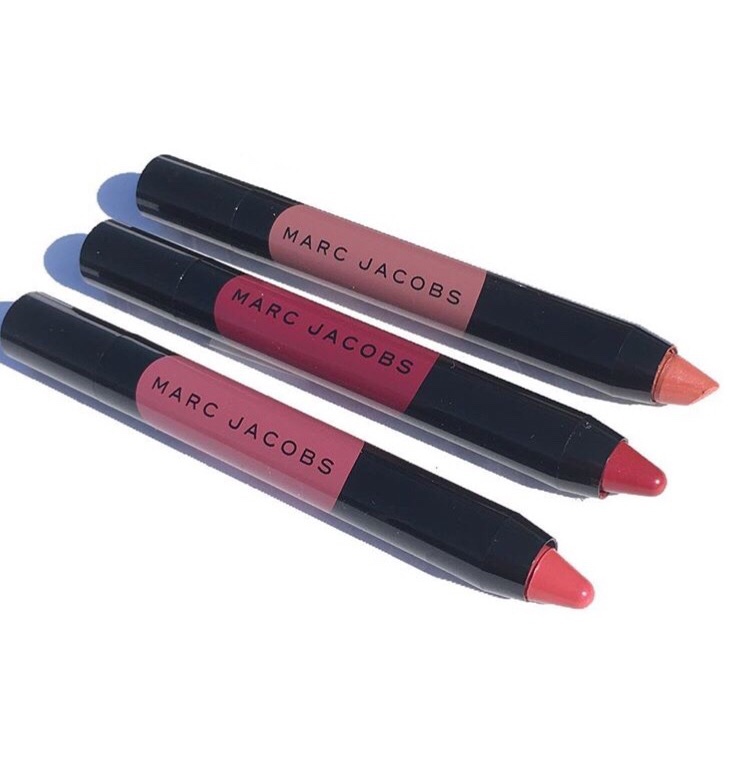 The Le Marc Liquid Lipstick Crayon is priced at $26. It is now available at Sephora and marcjacobsbeauty.com. What shade intrigues you the most? Thanks for stopping by. *PR Sample. All opinions are honest and expressly my own. Some links are affiliated, read my full disclosure here.